EMOJI sashes for the bride to be! I SAID YES! 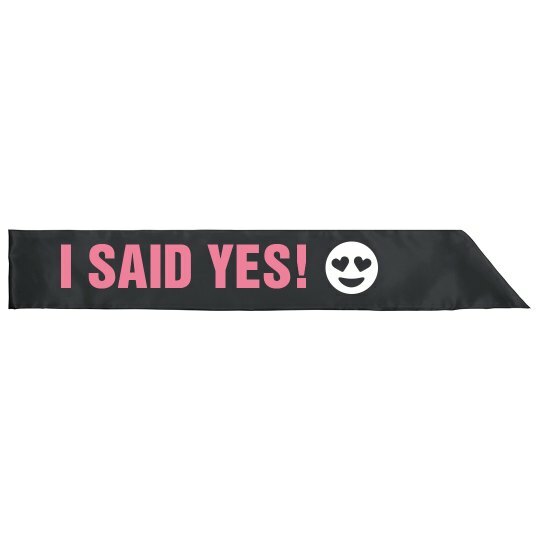 Get the bride this cute sash with the heart eyed emoji to wear on her bachelorette weekend. Custom Text: I SAID YES!